If you want to save money on a brand-new washing machine, check out our price list of LG 6 Kg Semi-Automatic Washing Machines. 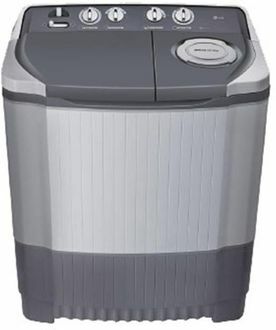 Compared to full automatic washing machines, a semi-automatic washing machine is cheaper since it doesn't come with complicated electronic circuitry. Even though the semi-automatic washing machines don't come with the 'set and forget' feature of the fully automatic models, they can still effectively clean your clothes while helping you save on precious, clean water. 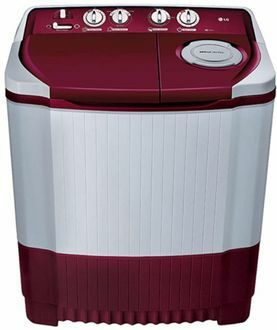 There are currently 4 LG 6 Kg Semi-Automatic Washing Machines in our price list. The list is updated on ###date##. Washing your clothes should not be a mundane chore. Invest in a high-quality LG semi-automatic washing machine and find out how you can make your life much easier without spending too much cash. Washing machines come in a variety of sizes and specs. 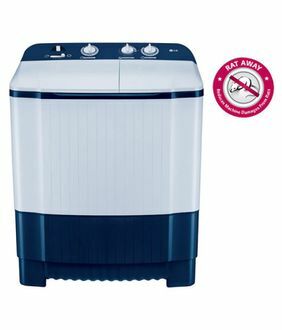 If you think that an 8 Kg capacity is too much, then a 6 Kg semi-automatic LG washing machine is the ideal choice. This is the right size for small to average-sized families and is perfect for any budget. Amazon, Croma, Infibeam, Flipkart, and Tata Cliq are home to an impressive variety of LG 6 Kg Semi-Automatic Washing Machines. Shopping online will allow you to view the lowest prices and the best deals on a brand new washing machine. You will not only save money, but you will also save time since your brand new washing machine will be delivered straight to your doorstep.